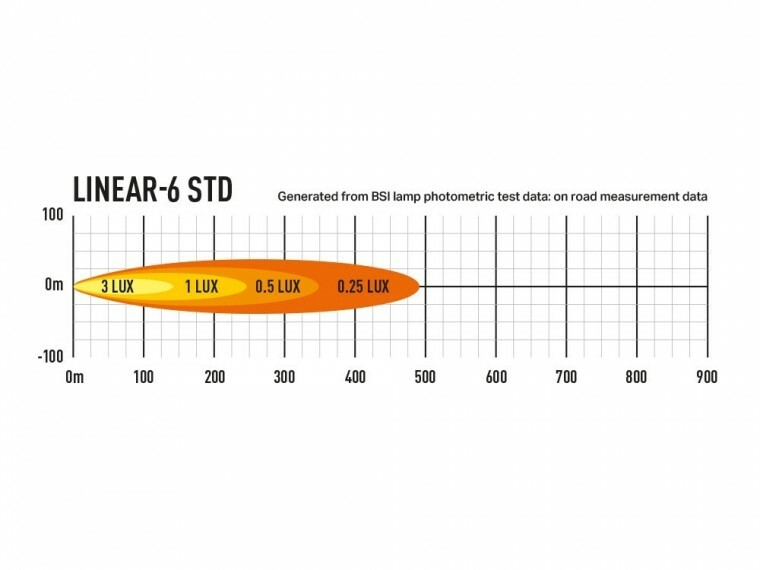 At just 220mm in length, and with an aluminium body measuring just 40mm in height, and weighing less than 500grams, the Linear-6 is an auxiliary LED light that can be subtly integrated onto any everyday road vehicle without compromising the vehicle aesthetics. 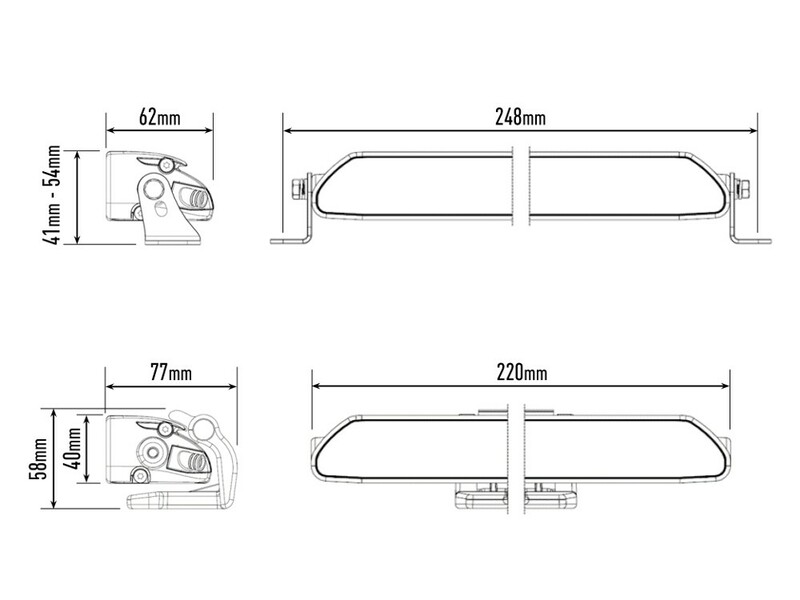 A borderless 'unbreakable' polycarbonate front lens, featuring hardcoat lacquer, allows for improved aero performance and prevents build-up of ice/snow/dirt that might otherwise interfere with the light distribution. 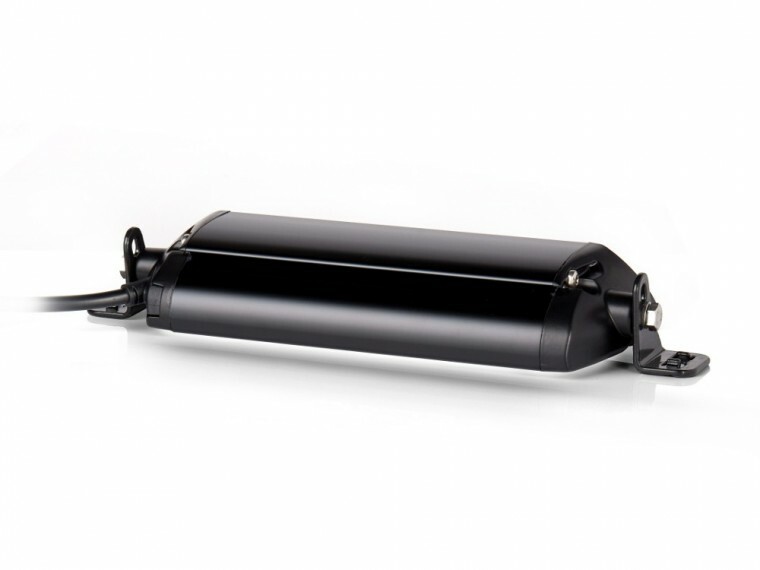 Automotive grade corrosion resistance, alongside stainless steel brackets and fasteners, ensures the high-end styling of the lamps themselves stays in prime condition for many years to come. 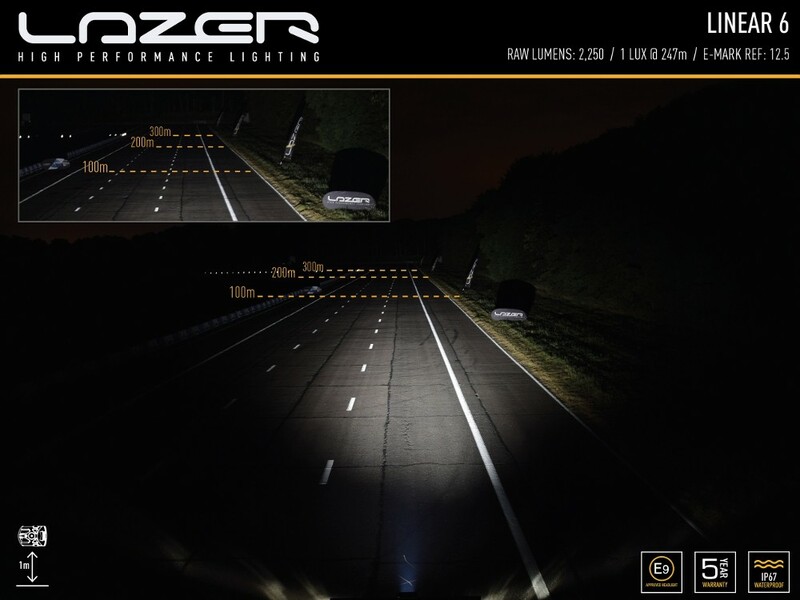 Where the requirement is for an economical auxiliary lighting solution, that still provides for superior high beam lighting performance when compared to any OE headlamps, then the Linear-6 delivers. 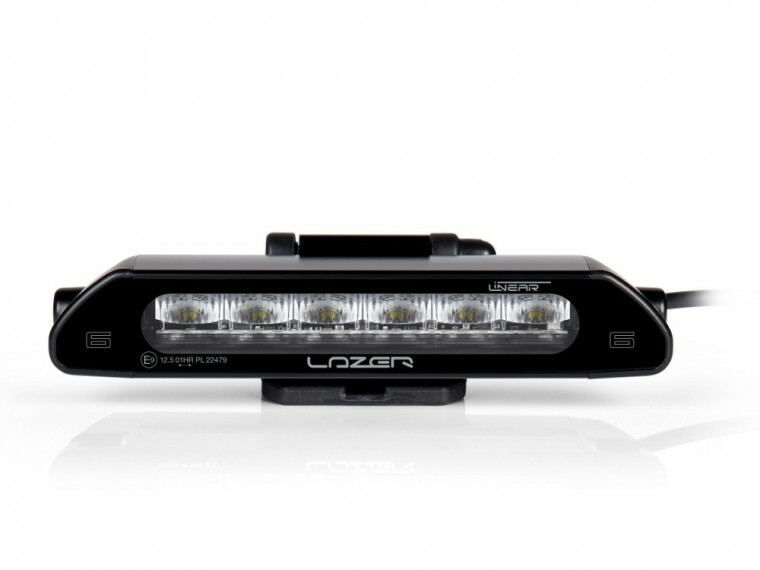 Like all Lazer products, the lamp is manufactured in the UK to exacting standards, with the build quality and performance assured, and backed up by our comprehensive 5-year warranty. 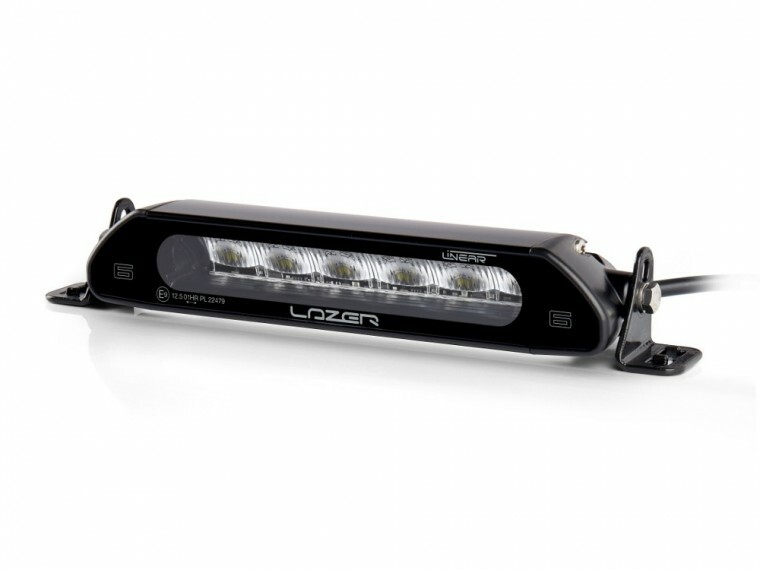 The Linear-6 utilises highly efficient 3W LED technology, which combine to deliver 2,250 lumens, and 1 Lux to near 250m; impressive considering the lamp only consumes 21W and with a current draw of 1.5Amps. The light distribution can be best described as ‘wide’ which taking nothing away from the enviable distance illumination, does provide for a comfortable left/right spread of light, with a comparatively lower up/down spread (when compared to the equivalent ST or Triple-R product), that makes the Linear-6 especially well suited to lower install positions, such as vehicle grille or number plate mounting.